Who doesn't love blogger mail! Part of the reason I order so much stuff online is because I love getting things in the post, so when it's a surprise parcel then it's ten times more exciting to open! 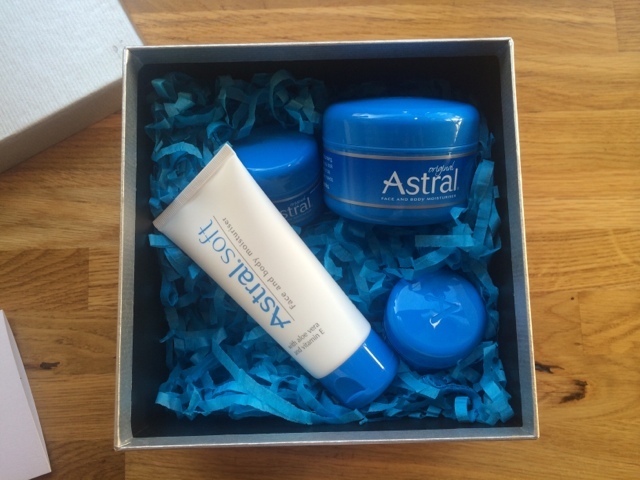 I was contacted by the lovely Chanelle to try out Astral cream. After doing a bit of research I discovered that it was created way back in 1953 and was probably a vanity dressing table staple for our mums and grandmas. Normally I would be a little reluctant to pick this up if I saw it on the shelf, but if it has been around all these years and is still going strong, there must be something about it! And who am I to turn down the promise of silken, hydrated, nourished skin! 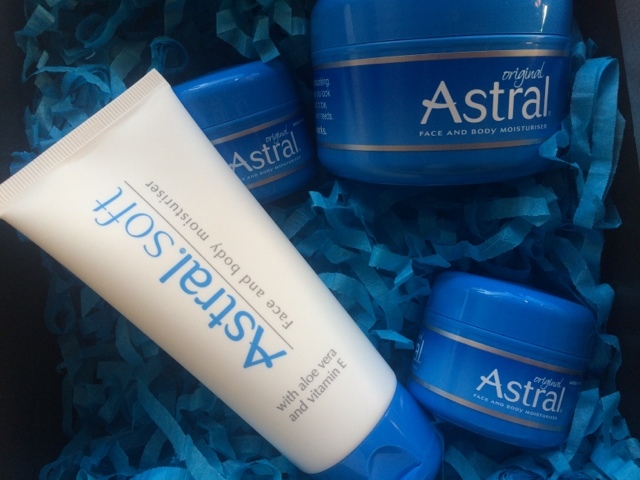 The original Astral cream is a thick, velvety, whipped formula. It takes a while to absorb into the skin but it is most definitely worth the wait! My skin felt so soft and nourished. Perfect when I have just got back from absolutely frying my poor skin to smithereens on the beach every day for two weeks. I noticed a difference after just a couple of days, especially on my legs and chest. They no longer looked scaly and dry (lovely imagery there), so I think my chances of my tan peeling off are slim to none! Thank you Astral! The original Astral cream can be used on the face and the body, but I have always been really conscious about what creams I use on my face. I never really get spots, but when I apply moisturiser to my face at night I feel like I have a greasy layer sitting on my skin, and I get worried that I am going to wake up with severe acne. Enter, Astra Soft! A lighter version of the original cream, with added aloe vera and vitamin E for intense nourishment and moisture. It absorbs a lot quicker than the original cream, and feels a lot lighter on my face (no severe acne you will be pleased to know). 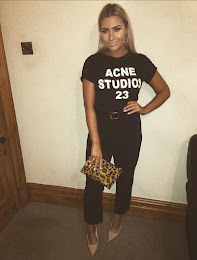 I suffer from combination skin, but I have been scouring through loads of reviews online and the overall impression I got is that it works wonders for all skin types, including allergy prone skin. A very rare quality to come across in the skincare world! Finally the best part..Astral is an absolute STEAL! The pricing ranges from just £1.29-£7.99! The reviews told me that a big tub of Astral lasts for months, but the way I've been smothering it over my sunburn I may have to repurchase a lot sooner. A beauty staple for all ages! OMG this is the stuff Joanna Lumley swears by! I remember reading an article about it yonks ago. I think staying out of the sun and this heavy duty moisturiser were the two 'how to not look aged' tips of a bunch women in their 50's. But there is a downside; the fact that there is a proliferation of these products makes it a herculean task to choose the best anti aging skin products. Some truly interesting points you have written here in this blog which I like it. Are you looking for the Best Skin Care Singapore, then visit V 10 Plus. Fashion and beauty is very important part for our life. So we should be search internet for real things and save your life. If you need to put on sleeveless tops, right here's a few underarm skin whitening recommendations. Thanks for sharing this useful review with us! I like this cosmetics brand, have you tried their sunscreen? While many of you wear it during the summer months, here’s the reality: you’ve got to wear sunscreen every day of the year, come rain or shine. I advise you click here in order to find out more useful information about the best ways to look healthy and beautiful. Thanks for the article. There are several home remedies and anti-aging tips to fight all signs of aging without spending a dime.